Come by and talk to Master Mechanic for just the facts about your vehicle. Our customer service begins with listening to your concerns about your vehicle; whether you hear a noise, engine lights on, something just feels unusual or for preventative maintenance services. To keep you informed about the safety and performance components of your vehicle, we provide a FREE Multi-Point Vehicle Inspection with every general maintenance service. We are AT YOUR SERVICE for all of your vehicle's service needs; oil changes, brakes, suspension, steering, alignments, tires-wheels, exhaust, fuel systems, tune ups, transmissions, glass-windshields, batteries, heating/cooling systems, electrical, air conditioning, diagnostics, restorations, inspections, we do it all! Serving clients in Markham since 1990, Markham's Amber Street location is situated in the heart of the Markham Industrial Park near Warden Avenue and Denison Street. Our facility is equipped to meet all of your repair and service needs on domestic and foreign cars including trucks up to 5 ton. Buying or selling a vehicle? Visit us first for pre-purchase inspections, Ministry of transportation inspections and Drive Clean emission test and repair services for all vehicles including heavy duty trucks over 4500kg, gas and diesel. Commercial Fleet vehicle services. We accept fleet service cards such as ARI, Element, Wheels, Foss Corp-Rate and more. Call Joe to personally discuss your specific fleet vehicle service needs. 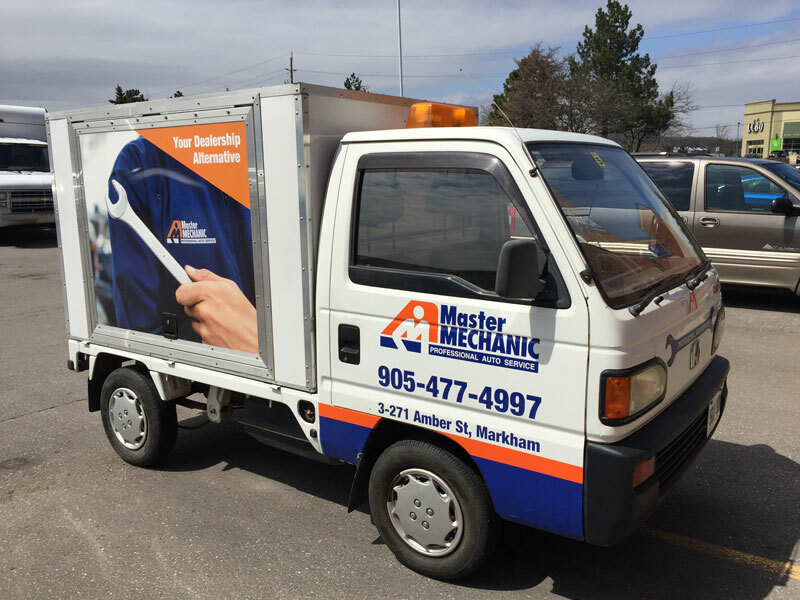 Master Mechanic - Markham is independently owned and operated. It's our teams' dedication to professional service that differentiates us from our competitors. Come by and talk to the Markham Master Mechanic team: Terry, Joe, Julian, Peter, Jason and Junuel. We look forward to your visit. Let's Meet! "Beth Welsh [...] Master Mechanic were spectacular, they showed professional knowledge and respect as well as being reasonably priced. They offer a transport service to and from their workshop, making it so much easier for me!" "Terry was very pleasant & professional. I will definitely come back again, not for our company vehicles but also bring my own personal vehicle"
Follow Master Mechanic Markham and Markville on Instagram! Browse our gallery of community, car, and shop images on Instagram. Follow us and share your car pictures, we'd love to see them! Use this coupon to receive $10 off your next service at Master Mechanic Markham. Let's Meet! "Jason is an excellent addition to the staff. Thank you"
"Thank you Terry for making the visit welcoming. 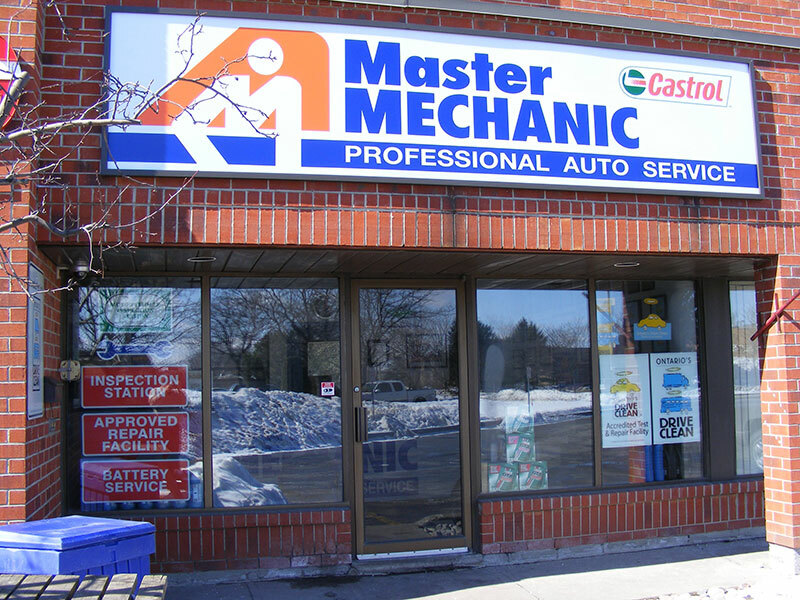 Fast & efficient"
"I think Peter at Master Mechanic on Amber in Markham is the Best! Thanks again." "Staff is very accommodating. Excellent service. Keep up the good work." "We love peter, our mechanic. He is great & has been for the 10+ years I have been going to this shop. Joe should give him a raise & a couple of extra vacation days. If Peter leaves, I leave." "Terry & Peter took care of everything as usual. They even pointed out a few concerns they had regarding the condition of my vehicles body. I appreciate that. I will use the advice given." "I am always happy to see Terry when I come in to service my car. He is friendly & extremely helpful. The service that I received at my last visit & every visit before have been excellent." "Staff are professional, knowledgeable, friendly & accommodating. Every visit is a good experience. Keep up the good work." "I was in & out in no time. Great service." "Terry was very polite, efficient & prompt. We will definitely consider going back here for future auto mechanical needs." "I appreciated the thorough vehicle inspection & recommended repairs.�"
"The people I dealt with are honest, helpful & friendly." "Your store is amazing! Your staff are "
"Wonderful work & a friendly environment too. Thanks so much!" "The service was changing over of the summer tires to winter tires. As always, the service is exceptional." "Great staff. Thank you for looking after me." "Thanks, Terry & Jason (very helpful & courteous)." "Exceptional & professional service. Keep up the good work!" "This is a very professional shop. Not only do they address the reported problems, but they also identify other issues that I may not be aware of. Good work guys!" "Peter Boglis is my favourite mechanic. He always does a great job & explains things very well." "Fantastic friendly service, as a female I feel very good about taking my vehicle to Master Mechanic. What they tell you it will cost, is what you pay. No hidden surprises!" "I have always had good service with Master Mechanic & will continue to go back." "A place I can trust to fix my vehicles. Staff are friendly & knowledgeable"
"Terry & Bryan are super as always. They accommodated my time frame & delivered expert advice as well. See you again soon." "Always accommodating & always 5 Star service!" "It was bad news delivered in a most palatable way. Thank you for a much needed dose of overdue reality." "Great job. Even the bird droppings removal was excellent." "I have recommended your service & you got 2 new customers." "I had to wait before my car was serviced. Thought it would be 8:30am precisely; also system problems with Moneris for a credit card transaction but staff friendly & very helpful." "First trip in was for an emissions test. I didn�t see the shop so I can�t comment on the cleanliness. Test was quick & I love that the information was uploaded to MTO. Coming back for oil change soon." "Excellent service & good to recommend to our friends." "Master Mechanic between Bryan Brush & Terry at the counter, I am so looked after. I get a ride, my winter tires stored & summers sourced � AMAZING!" "My trusted source for vehicle service." "I don�t go anywhere else. Very honest people." "I trust the work that is being done. Great customer service." "They mechanic who worked on my vehicle, Terry, was very knowledgeable & trustworthy. He gave me a few recommendations & he explained things in a manner I understood. I will be returning." "Your shop was recommended to me. They were able to look at my van right away, gave me some indication of what to expect & dropped me back at the office. Couldn�t be happier. Will see me again." "I like dealing with your people"
"Service was very friendly. They tell it like it is and are very informative. I will definitely be visiting again. Hopefully not for a while." "Terry & Jason are always friendly & helpful. Thank you"
"As usual, a fine job. On time, so GREAT service. Thank you guys, John Kemp." "Joe�s garage rocks! Always great timely service with a friendly smile. I�ll be back as always." "The mechanic, Peter, is fantastic! Highly recommended. Great job again!" "You�ll be my go to place now, for both my cars." "You fulfill my 4 major requirements: Honesty, Skill, Friendliness & Great service." "Great service, friendly, helpful crew"
"Work is always satisfactory; will continue to have service & repairs done here." "Terry & the rest of the staff are very pleasant & helpful." "As usual I was well looked after by Terry, who even offered to pick me up as it was raining hard that afternoon. Thanks Guys." "Today�s service was completed very quickly (less time than estimated). Thanks!" "Friendly staff & fast service. Thank you." "Friendly service. Vehicle was provided ahead of planned time." "Extremely satisfied with the service at this shop, which I have patronised for more than 7 years. The mechanics employed at this facility are top-notch." "Called around for information and quotes, Master Mechanic were respectful and helpful on the phone and made me feel welcome (unlike the others!) I was able to enjoy a coffee at the Tim Hortons next door, as it was not going to be a long wait. Turns out my car had serious problems... Master Mechanic were spectacular, they showed professional knowledge and respect as well as being reasonably priced. They offer a transport service to and from their workshop, making it so much easier for me!" "I have been a customer with Master Mechanic for the past 7 years. I have had a variety of repairs done over the years and have always been very satisfied with the results. The customer service, as well as the workmanship, has always been exemplary, and the staff are always very helpful, courteous, respectful and accommodating. I have dealt with Joe Chiapponi from day one, originally at his Amber Street location (Markham), and now recently at his Bullock Drive location (Markville). Both shops provide the same excellent service. I own a 1999 Z24 Chevy Cavalier, and I absolutely love it! But because of its age, I have had a lot of maintenance and repairs done to it over the years, and I am certain that the reason my car is still running smoothly after all these years, is because of the excellent service and dedication I receive every time I take it in to Master Mechanic. Joe always takes care of me on a moment's notice, even if that means staying late to get the job done. I truly appreciate the time that Joe and his staff have taken to explain, in detail, what repairs are necessary to be done, and his honesty about what other repairs will need to be done in the future, in order to keep my car safe and in good working order. I am happy to say that I am a loyal customer for life and I highly recommend anyone needing service, maintenance or even advice on their vehicles, to call Master Mechanic and speak to Joe or any member of his valued staff to schedule an appointment to have one of his highly skilled and dependable mechanics carry out a service that will undoubtedly ensure the safety and reliability of your vehicle at a reasonable price. Keep up the good work Joe! " "I wanted to take a moment to thank you for the excellent service I received from your company. As you know, I had my 2000 Ford Explorer in to another shop to look after the “noises” in my front end. $2,000 later and they did not fix the problem. Your mechanics identified the problem, quoted accurately and resolved not only the front end noise issue, but also fixed what the other shop had done incorrectly and performed an overall service on my truck. I am happy to report I put 70o kms on the truck yesterday and it felt wonderful to drive. It is refreshing to find a company like Master Mechanic who can properly service my vehicles. I give you and your staff an A+ for execution!. Thanks again." "It occurred to me as I drove home from my appointment with you that you and your staff have been servicing my wife’s and my cars for something approaching 20 years. You absolutely must be doing something right to keep us as loyal customers for that length of time, especially as we moved to the Fergus area eight years ago and still come to Master Mechanic to have our vehicles serviced. I could go on at length about honesty, integrity, competency, etc!but I do believe that 20 years of association says it all."